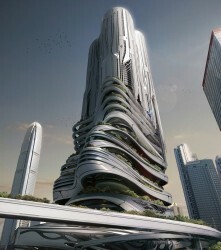 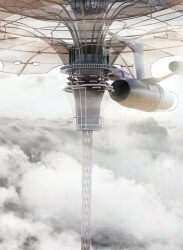 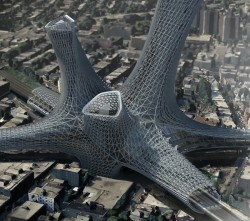 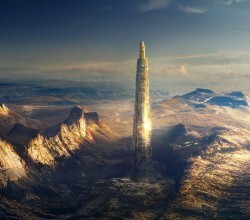 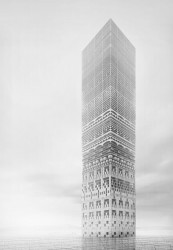 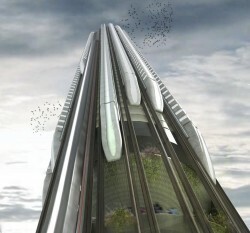 eVolo Magazine is pleased to announce the winners of the 2014 Skyscraper Competition. 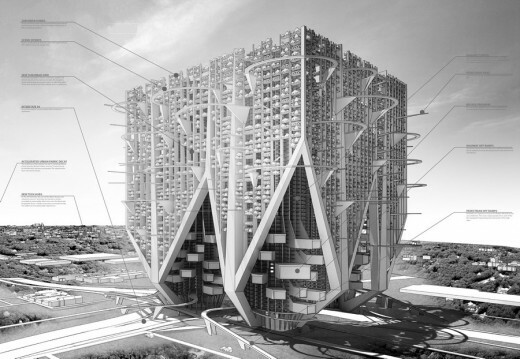 The 2014 edition marks the ninth anniversary of the competition established in 2006 to recognize outstanding ideas for vertical living through the novel use of technology, materials, programs, aesthetics, and spatial organizations. 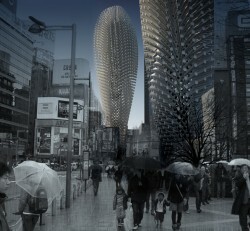 eVolo Magazine received 525 projects from 43 countries in all continents. 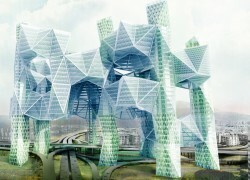 The Jury, formed by leaders of the architecture and design fields selected 3 winners and 20 honorable mentions. 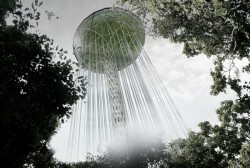 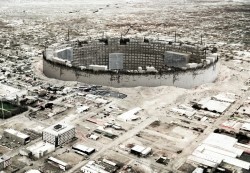 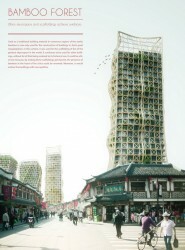 The first place was awarded to Yong Ju Lee from the United States for his project “Vernacular Versatility”. 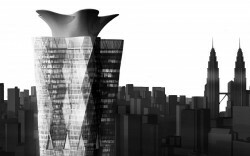 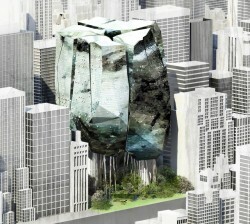 The proposal reinterprets traditional Korean architecture in a contemporary mixed-use high-rise. 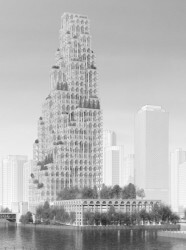 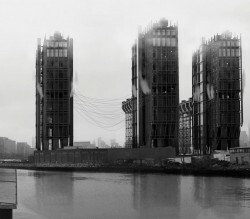 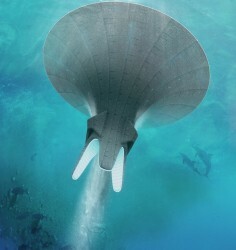 The second place was awarded to Mark Talbot and Daniel Markiewicz from the United States for his project “Car and Shell: or Marinetti’s Monster” which proposes a city in the sky for Detroit, MI. 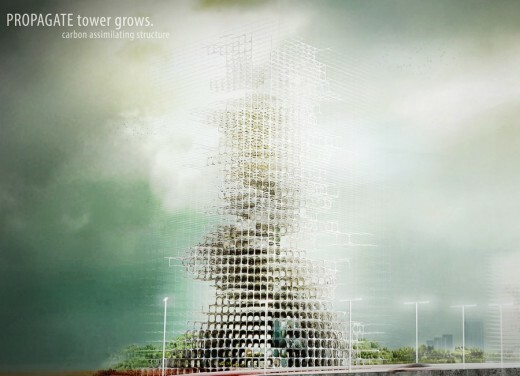 The recipients of the third place are YuHao Liu and Rui Wu from Canada for their project “Propagate Skyscraper” that investigates the structural use of carbon dioxide in skyscrapers. 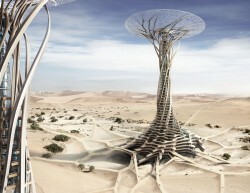 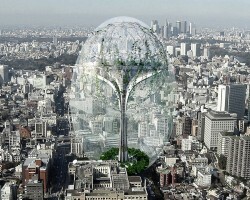 Some of the honorable mentions include a skyscraper that filters the air of polluted cities, a sky village for Los Angeles, a 3D printed tower in the desert, and a vertical transportation hub among other innovative projects. 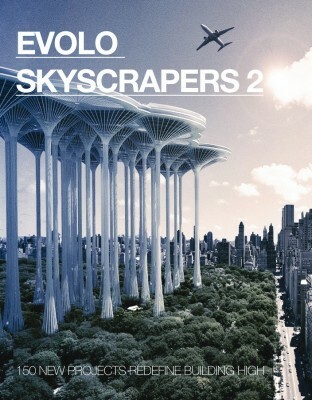 To commemorate the 9th Annual Skyscraper Competition, eVolo is publishing the Limited Edition Book “eVolo Skyscrapers 2” which is the follow-up to its highly acclaimed book “eVolo Skyscrapers”. 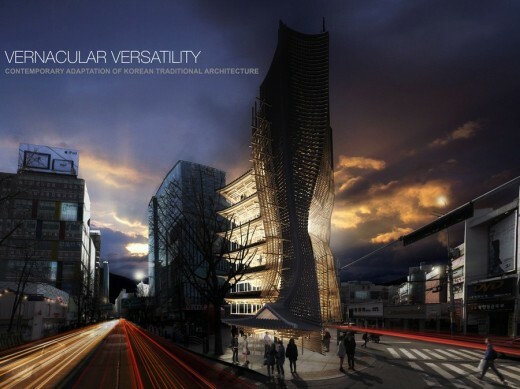 The 628-page book examines 150 projects received during the last years of the competition. 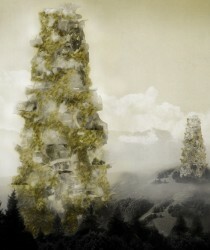 Only 1000 copies are available worldwide.